Aaah! Mythical Trident Studios. The grooviest studio in London in the late 60’s and 70’s. Spoken of in hushed tones by those who were there. It’s siren call (it had the first 8 track console in town) tempted The Beatles away from Abbey Road. It kept hold of Beatles engineer Ken Scott who went on to record and produce loads of classic records there including David Bowie’s Ziggy Stardust. The studio was set up by the brothers Norman and Barry Sheffield who also launched a record label (Trident Records) to put out the debut album by a young band they’d recorded called Queen. 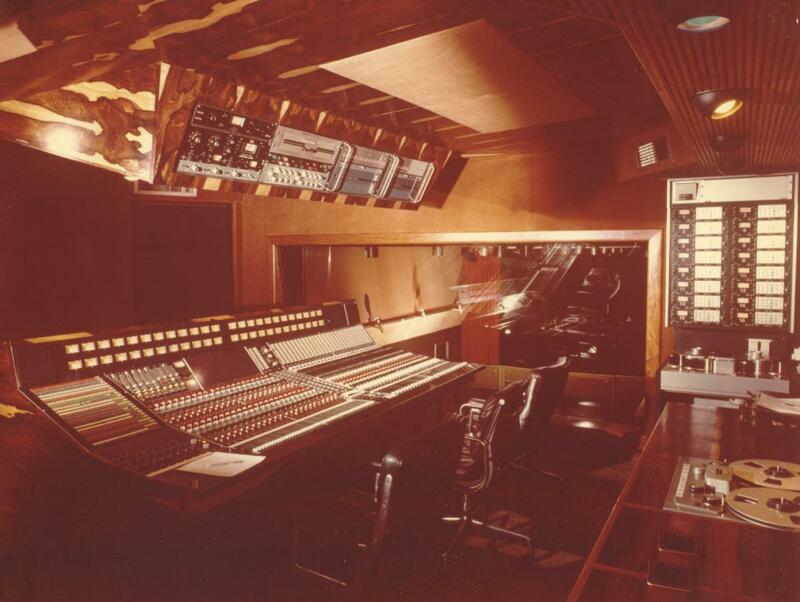 Here’s a photo of the control room of Studio A in the late 1970’s.